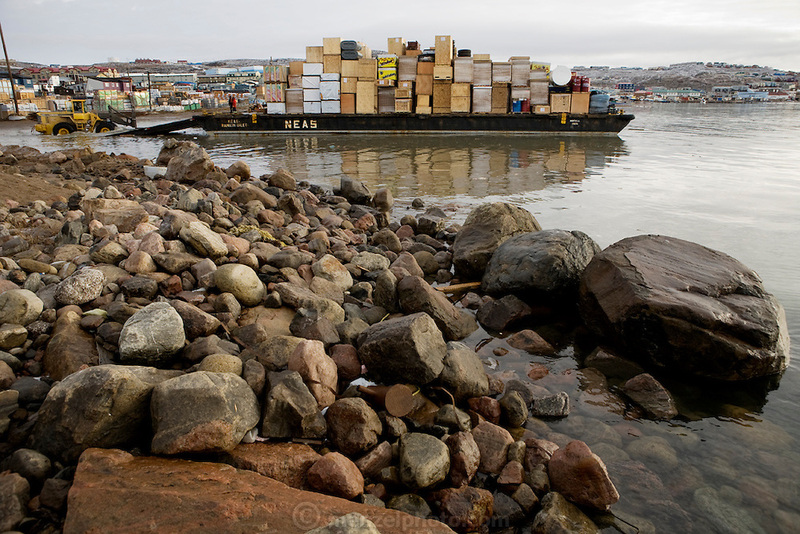 A barge carrying food and supplies from the last cargo ship of the season is offloaded onto the rocky beach at low tide in Iqaluit, Nunavut, Canada. (From the book What I Eat, Around the World in 80 Diets.) Pack ice typically closes regional shipping lanes from October until early July. "Iqaluit" means 'place of many fish'.